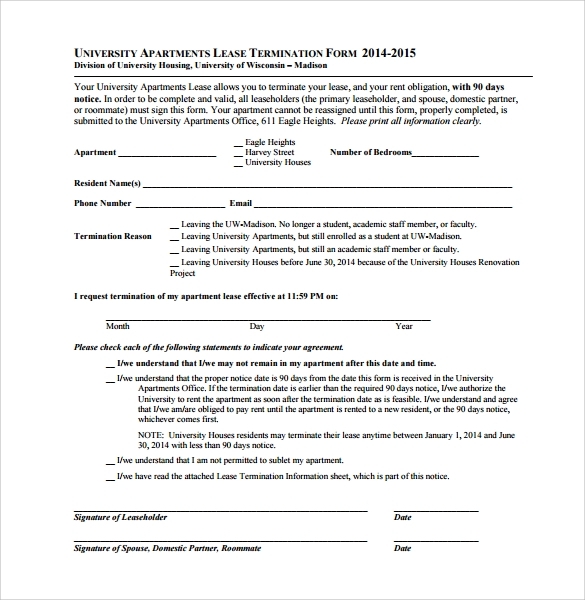 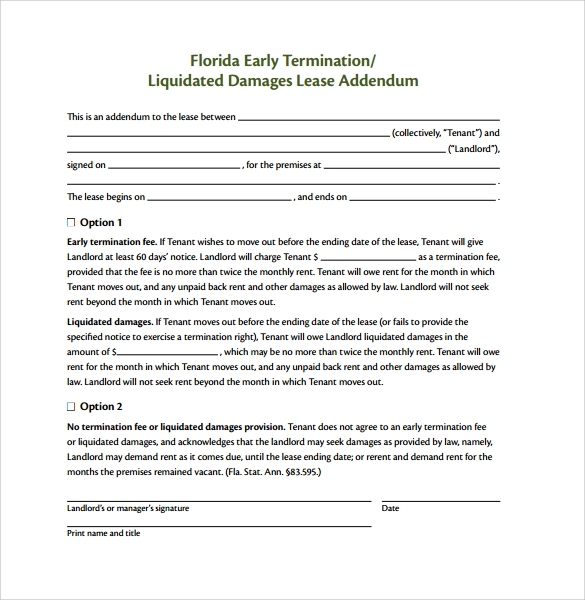 A Lease Termination Form is often designed and written by a tenant although a Landlord might also use it sometimes. 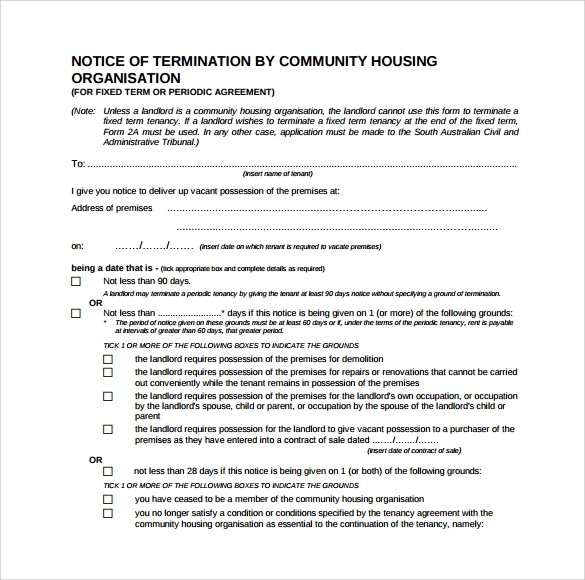 Critical issues often arise in a rental property, and if not addressed according to the expectations of the tenant, they might be left with no any other option other than to terminate the Lease Termination Agreement. 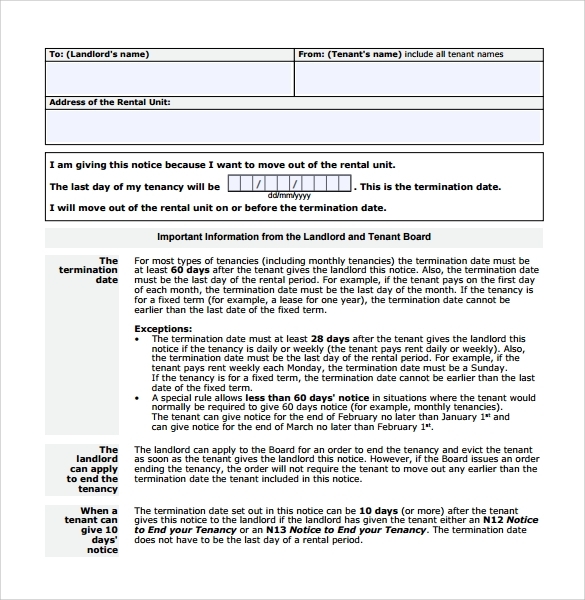 Because the tenant has the power of free will, they cannot be held back from using this form to terminate their contract with the landlord in question. 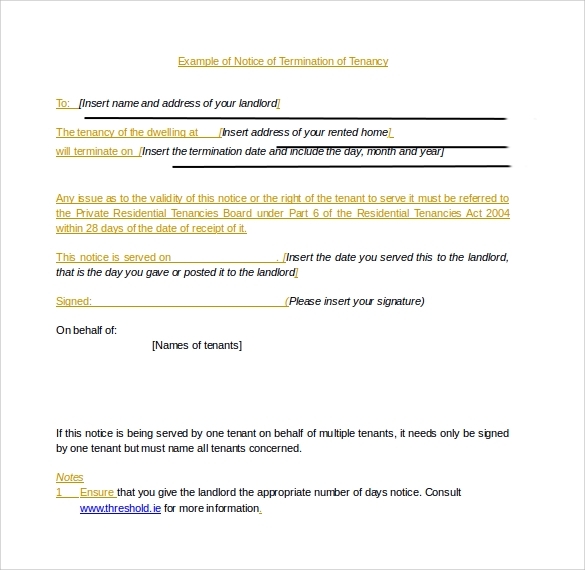 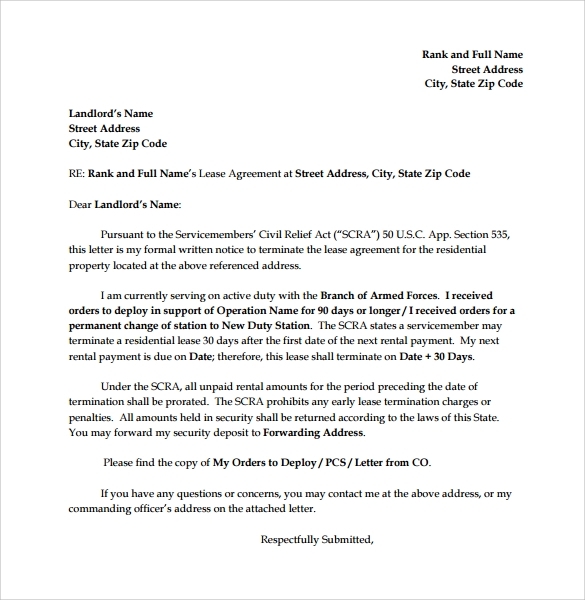 The form must have a subject line, the property being addressed, the name of the person to whom the content of the form is intended and the reasons for moving out. 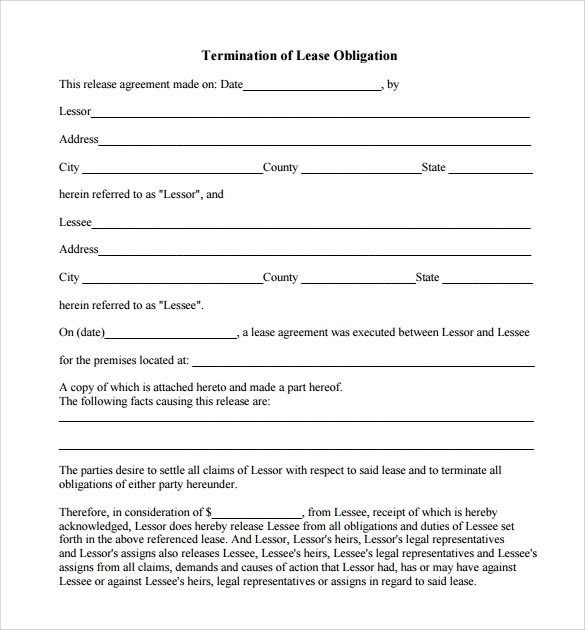 You can download a free sample template for help on this.